3-Pack bundled savings. Rhus Tea is a natural tea used to fight disease causing microbes and other foreign invaders. 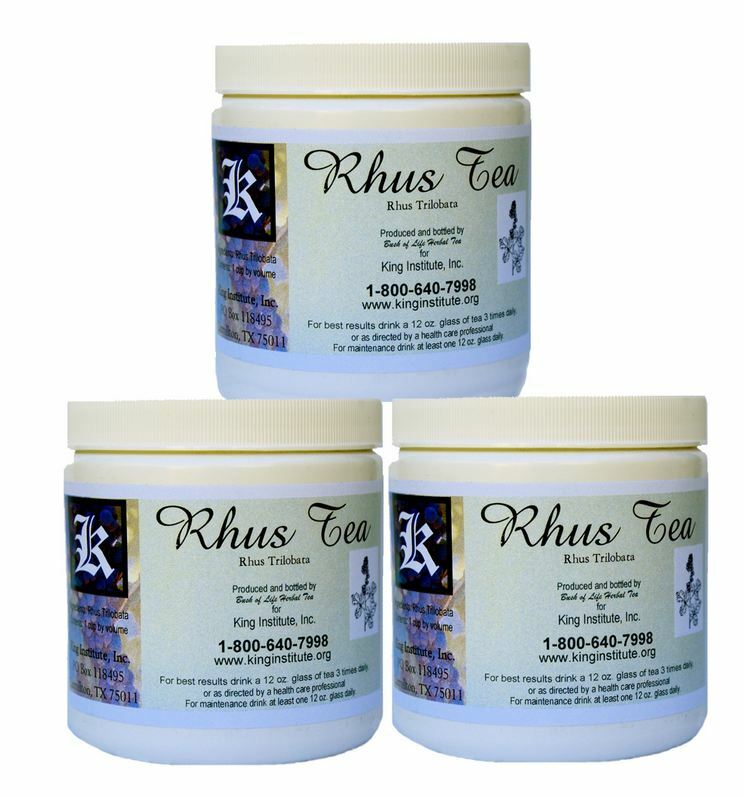 This product includes 3 bottles of Rhus tea bundled together for additional savings. "Bush of Life" processes this amazing tea for the King Institute, LLC. Rhus Tea is a natural tea used to fight disease causing microbes and other foreign invaders. It's an amazing immune stimulator. It is also great for detoxifying the body. Note that Rhus Tea is not approved by the FDA, but click Read More below to find out more about this amazing tea and what it has done for many people. WARNING: If you have an allergy to the Sumac (Anacardiaceae) family, then you could possibly have some level of an allergic reaction to this tea. It is always best to at least perform a basic "muscle test" with any new substance you introduce to your body. We recommend testing before opening the bottle, although it is non-refundable.